BotaniGard 22WP contains live spores of the naturally occurring fungus, Beauveria bassiana. Spores are alive and may be harmed by storage at high temperatures or contact with water for more than 24 hours. See storage instructions on this label. BotaniGard 22WP acts by contact. Spores must attach to the target insect for this product to be effective. Thorough spray coverage is essential. Spores may attach to insects either by direct contact from spray or from contact with sprayed foliage or soil. 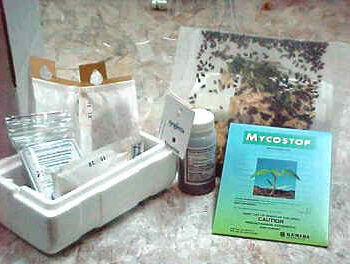 Spores on the insect germinate, and penetrate through the insect cuticle. 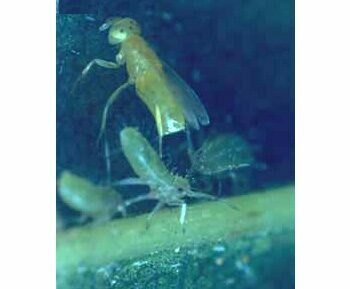 The fungus then grows rapidly within the insect, causing mortality. 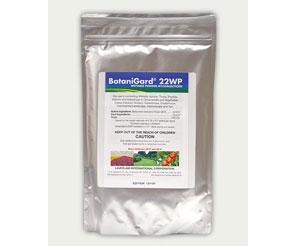 BotaniGard 22WP works best in a pest management program designed to keep insect populations below levels which damage crops. Typically, it takes 3-7 days for an infected insect to die and 7-10 days after the first spray to see a reduction in an insect population. Application rates, spray frequency, spray coverage and insect numbers affect the speed at which insect populations are reduced. 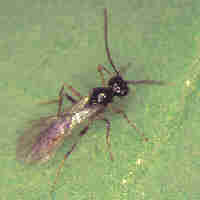 Frequent scouting for insects in crops is recommended. BotaniGard 22WP is most effective when used at the first appearance of insects in the crop, before high insect populations develop. BotaniGard 22WP may be combined with chemical insecticides for rapid knockdown of damaging insect populations or large numbers of insects moving into crops. Pre-harvest interval for BotaniGard 22WP is zero (0) days. BotaniGard 22WP can be applied up to and including the day of harvest. BotaniGard 22WP may be applied using hand-held, and/or ground spray equipment; also by low-volume application equipment.